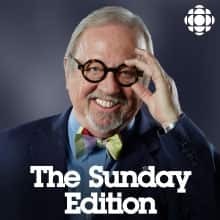 A podcast of the best of this lively program with host Michael Enright who tackles everything from politics to pop culture, in Canada and around the world. Michael's opening comments about the New Zealand mosque shooting :39; Discussion about what it's like to be Muslim in a time of growing hate 3:40 NZ author and professor Paul Spoonley on his research of right-wing extremism 44:34 NOTE: This is an abbreviated podcast because we are unable to include music interviews, due to copyright issues. History of multiculturalism; response to documentary about violence in schools; Nanny Angels update; introducing a podcast extra, women of magic; Dutch historian Rutger Bregman confronts Tucker Carlson of Fox News; lawyer Deepa Mattoo on why she is creating a new way to assess risk faced by women in cases of domestic violence; what can be done to repair justice system for Indigenous Canadians. Podcast extra: "The Amazing and Astounding Invisible Women of Magic"
Sawing a woman in half, a hemicorporectomy, is a classic illusion. And a classic role for women in magic - the pretty helpmeet, assisting men as they dazzle and enchant their audiences. But women are busting out of the boxes. As part of a new project to unearth documentaries from The Sunday Edition vaults, we revisit Frank Faulk's documentary "The Amazing and Astounding Invisible Women of Magic." Download Podcast extra: "The Amazing and Astounding Invisible Women of Magic"